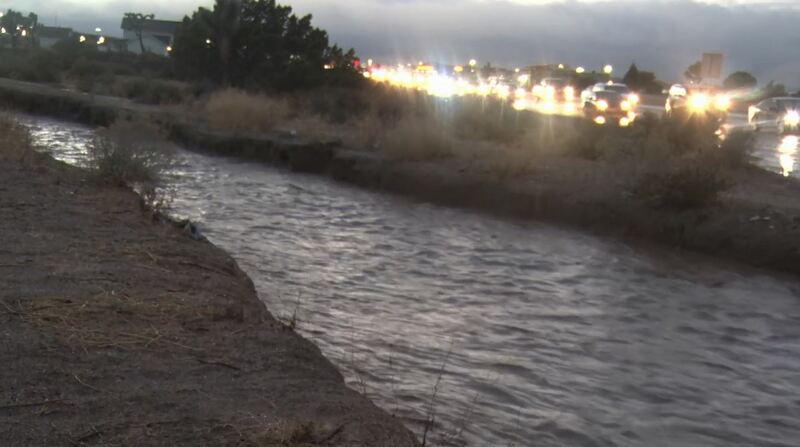 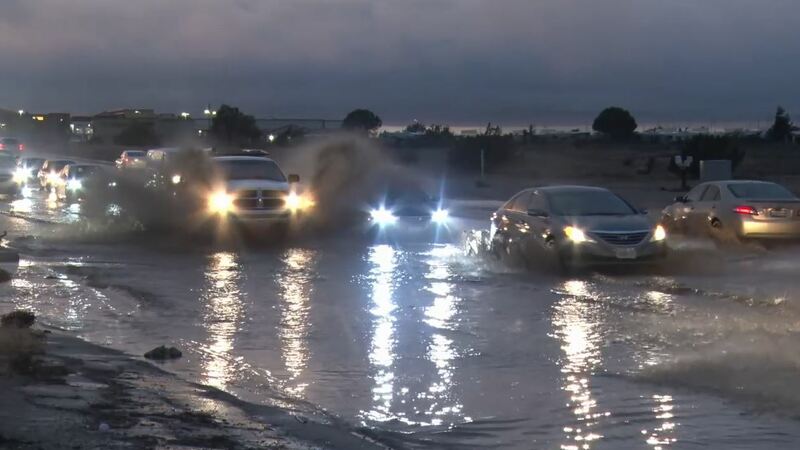 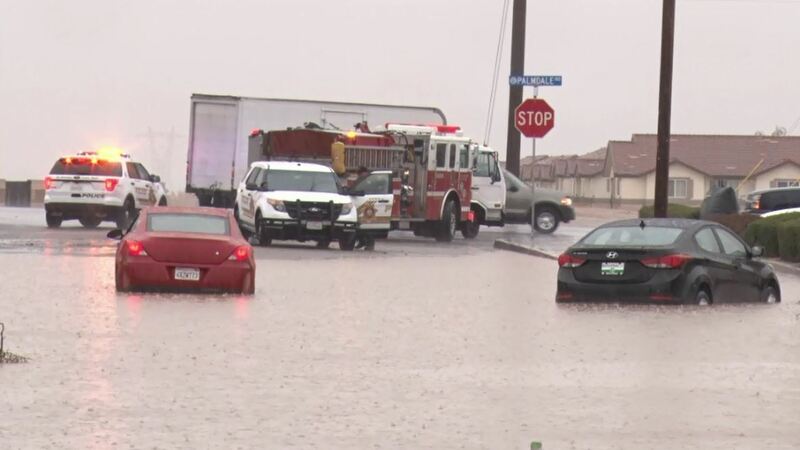 A The winter storm dumped heavy rain in the High Desert Thursday afternoon. 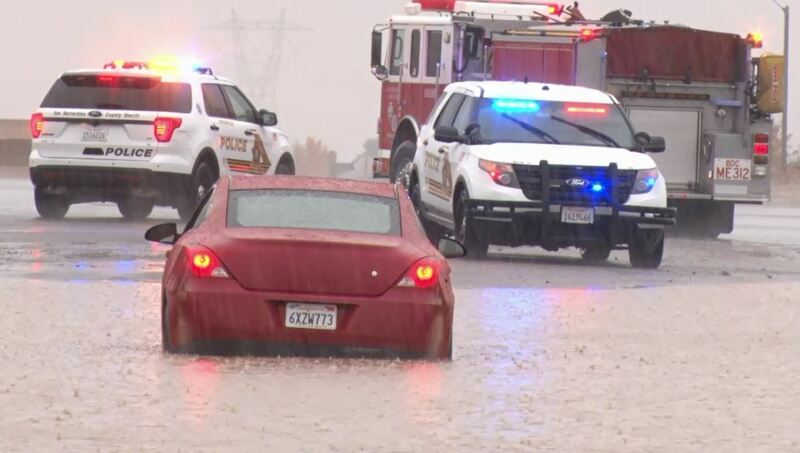 The rain flooded streets and forced swift water rescues. 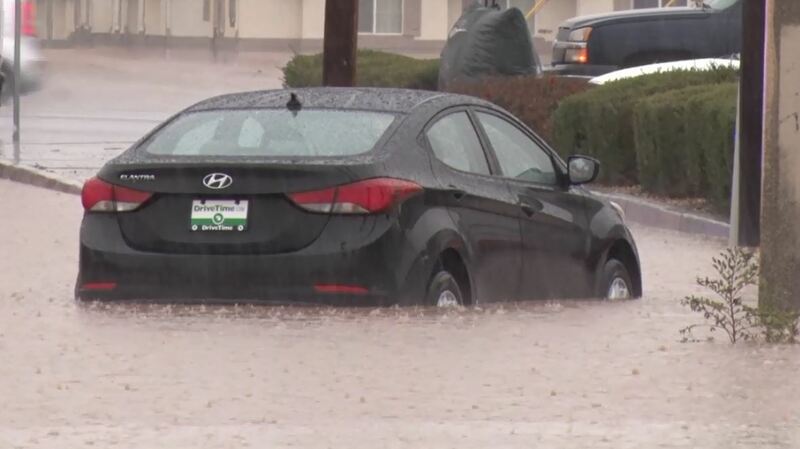 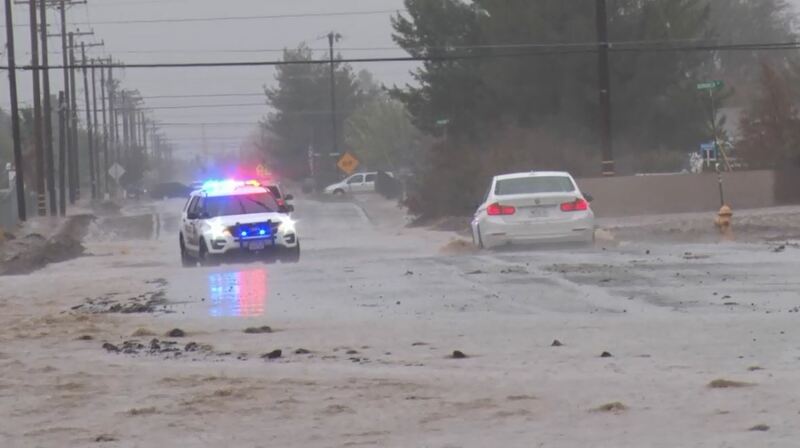 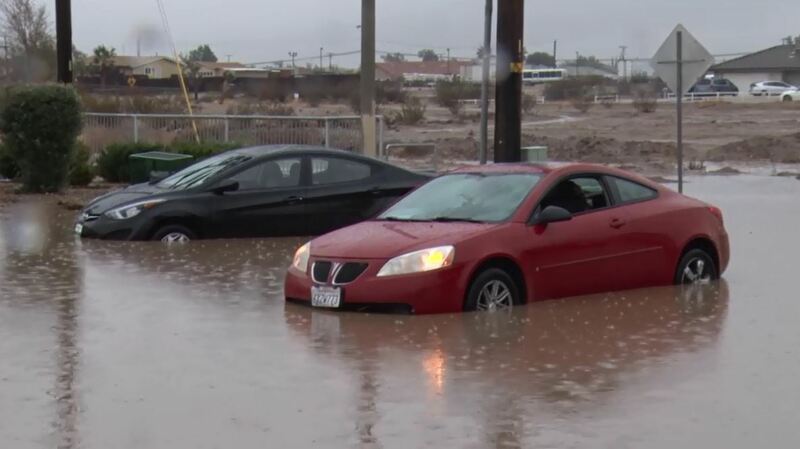 In Victorville, around 2:30 PM, two drivers got stuck in flood waters in the 13800 block of Del Gato Road. 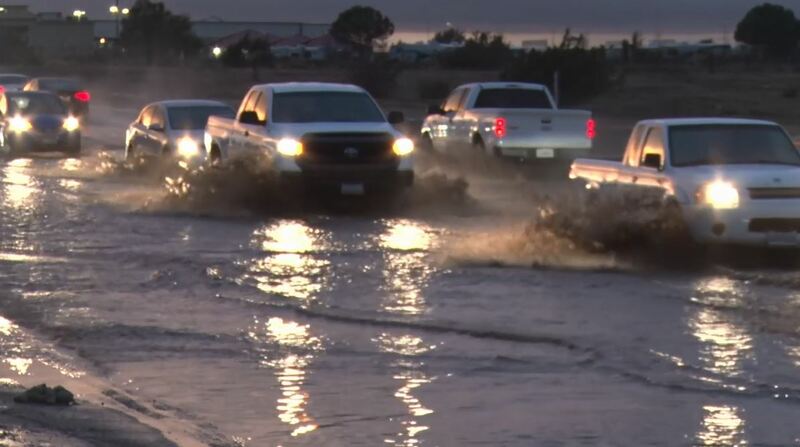 In Hesperia, flooded roadways cause a rush hour mess along the 13700 block of Main Street.